The more you become aware of the facts about cyber-bullying, the better prepared you'll be to end online harassment over your school's network. 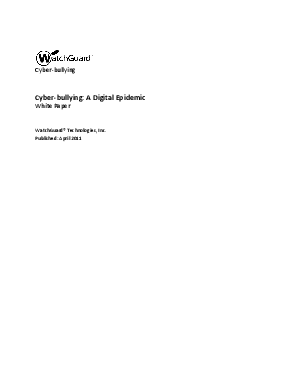 This white paper looks at the technology required to stop cyber-bullying and the steps school administrators can take to ensure students are protected. Learn the facts about cyber-bullying today!